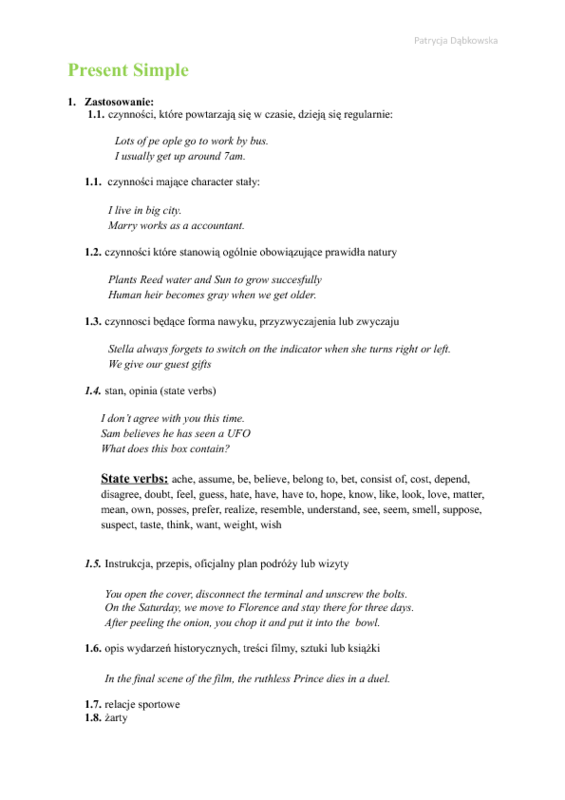 This worksheet contains the use and construction of present simple. It contains 10 cases of use and examples, adverbials of time that indicate this tense and a section that tell students how to buid affirmative, negative sentences and questionsI. 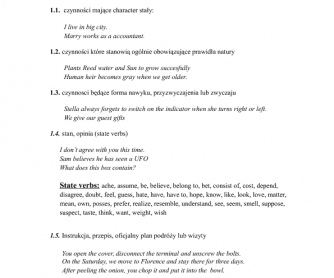 It is dedicated for Polish learners.